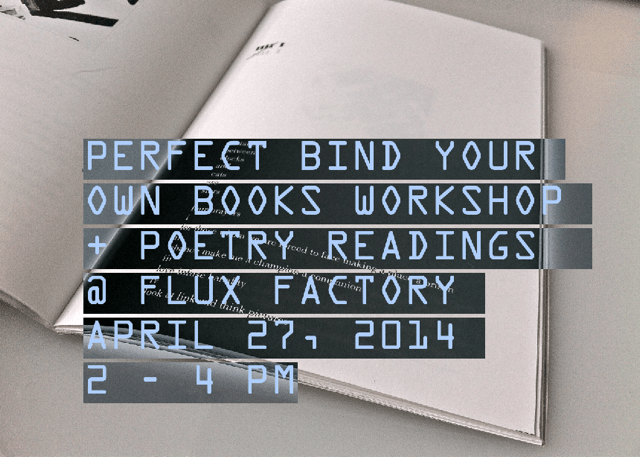 Zuzia Juszkiewicz will host a small workshop on how to build and use your own perfect bind press. Yes, that means, a DIY solution for making your own professional looking magazines, catalogues or chapbooks! We will couple the event with a few readings by local poets, and are exited to exchange ideas! RSVP.